Prof. Keillor’s research interests lie at the interface of chemistry, biochemistry and biology. In a distinctively multidisciplinary approach, all group members have the opportunity to receive training in organic synthesis, molecular biology, spectroscopy and kinetic studies, valuable skills for the fields of biopharmaceuticals, biotechnology and biocatalysis. Two general research themes are prevalent in the Keillor group: the study of the function, inhibition and engineering of enzymes, and the development of novel methods for the site-specific labelling of proteins. 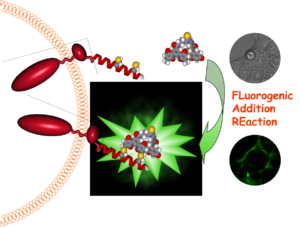 The projects described below are representative of our current research efforts in some of the research areas of modern bioorganic chemistry. The unregulated activity of TGases has been implicated in a number of physiological disorders, including Huntington’s disease, coeliac disease and cancer. 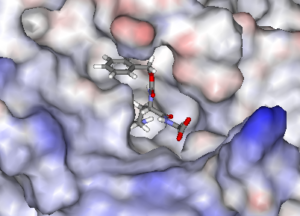 We have discovered novel classes of potent reversible inhibitors of tissue TGase that are under evaluation for their therapeutic potential. 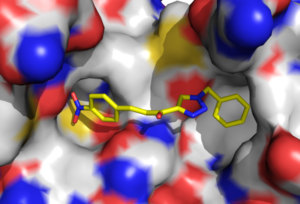 These inhibitors are being refined and improved through further efforts in synthesis and kinetic evaluation. The fluorescent labelling of proteins, in vitro and in living cells, is a technique widely used to gain insight into their function, localization and trafficking. Notably, the 2008 Nobel Prize in Chemistry was awarded for the development of such a method. We have recently developed a complementary fluorescent labelling method based on the use of small synthetic fluorogenic molecules. 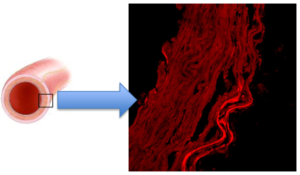 We have demonstrated this method for the specific labelling of extracellular proteins. Recently we have extended this method to the intracellular labelling of specific proteins in living cells, and currently we are exploring the range of colours amenable to this labelling method. The activities and biological roles of TGases are probably context dependent, underlining the importance of studying how these enzymes function in their respective native environments. By synthesizing small molecule probes capable of labelling TGases and/or their substrates, their activity can be observed in cells and tissue. Transglutaminases (TGases) mediate the cross-linking of proteins by catalysing the formation of isopeptide bonds through a transamidation reaction between a Gln side chain and a Lys side chain. 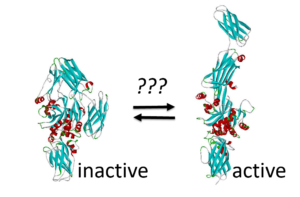 Although many details of the catalytic mechanism have been resolved, important questions still remain, particularly with respect to how the structure of the enzyme, known to undergo major and minor conformational changes, affect its function and biological role. TGases are distinctive in their ability to modify the side chains of Gln residues and to catalyse the formation of amide bonds. 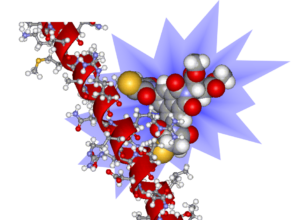 We would like to retain this catalytic capacity, while modifying the scope of substrates recognised by the enzymes. 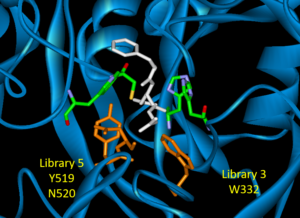 By creating libraries of enzyme variants and screening them for a desired activity, we will discover novel biocatalysts suitable for practical application in a variety of contexts.